For reviews in video click here! We display the patient’s name, with his consent. If you think we are wrong and posted your name and testimonial without your consent, or if you simply changed your mind on the content, please email us and we will make the necessary changes. I just wanted to write to tell you and the staff that I am very happy with the results of my recent visit. Not only did Helvetic honour their warranty and complete all repairs and adjustments expertly,, but did so cheerfully and without hesitation. All the professional and front office personnel involved were gracious, skilled and caring and I left feeling very well attended to in every respect. Thank you all very much. I have already finished about 4 weeks of recovery time after the surgery and have removed the stitches successfully last week. Your excellent work during and after surgery helped the healing process more quickly and without discomfort. I would like to express my sincere appreciation to both of you for taking care of my medical need so far. Keep up with good works! I just want to say thanks for an amazing experience. I am telling all my friends and family ! Also a big big thanks to the lovely hotel staff, drivers, as well as the clinic desk staff and doctors! 10/10 will recommend to everyone. P.s. Samantha is also very happy with you ! Thanks again ! I just want to say my thank you to the whole team of Helvetic clinic. My experience has been great and I will definitely come back again and would recommend your clinic to my friends and family. Having returned home at the weekend following my first week of treatment at Helvetic I wanted to write you and all your colleagues to massively thank you for the superb treatment which I received from everyone whom I encountered at your clinic. Truly, the professionalism, care, expertise and genuine friendliness which everyone displayed to me was beyond compare – in my opinion you are the exemplars in Europe of how expert dental treatment should be delivered and I wish all of you even greater success in the future. I very much hope that you will convey this message to each and every one of your colleagues. In particular, though, I would like you to thank and congratulate the three people who looked after me the most – the dentist called ‘Boggi’ and her ever attentive nurse (whose name I never heard!!) and the ever lovely Liv, who walked me through everything and was always there to ensure that I was OK and understood the course of treatment prescribed for me. I wish I could have seen her before you all went off for the Easter weekend holiday so that I could have thanked her personally over a coffee and maybe a slice of cake!! I am very much looking forward to returning to Budapest for my second stage of treatment in four months time and would like to check with you if it would be OK to book the last week of July (23.7.2018) as I know that you will all be on holiday for the first two weeks of August. My treatment plan stipulates that I have to leave it four months until the next course of action so I hope that the dentists will be OK with me coming over for this week – perhaps you can let me know if they are OK with it. (Everything feels like it is healing up just fine so far…). Thank you for this update Raymond. I am sorry that i didn’t get to meet you while I was in Budapest, but i understand that you’re busy answering emails, so you can’t be in 2 places at once. Anyway, it was a pleasure being in your clinic and I would liek to thank the staff that I met there, they were all fantastic, especiallly the hygienist, who I gave a hard time for her to do her job. Once again, thank you ALL for your assistance. I have recently returned from Budapest having completed my treatment with you. It’s almost a year to the day since I first contacted the clinic to arrange my treatment, little knowing that the work required was far greater than first thought, and that I would end up making four visits overall. Please know that I’m absolutely thrilled with my new teeth, and it’s no exaggeration to say that it is a life changing experience. Both my smile and my confidence have returned and I couldn’t be happier. To everyone at Helvetic, I cannot thank you enough for your welcome and for all you have done for me. I have left reviews on each of the three review websites you referred me to, these should be published shortly, in which I stated that my choice in coming to Helvetic in Budapest was one of the best decisions of my life. Due to the first class facilities, highly skilled clinicians, and the friendliness and professionalism of the staff, I simply could not have received better treatment anywhere else. The service you provide is absolutely second to none. I’d like to send my personal thanks also to Dr Peter Lukacs, who as well as possessing immense skill and talent was such a lovely man also, always warm and friendly. I consider myself fortunate indeed that he personally carried out the majority of my treatment. Next year I look forward to returning for my first annual check up, but in the meantime I have suggested that my daughter contact you, as she has a couple of missing teeth that she would like to replace by some means, so you should be hearing from her shortly. Finally, thanks again for everything, you have all been brilliant! It was such a pleasure to meet you last week, I would very much like to extend my sincere thanks to you, and Ervin, Livi and the whole team in reception, you do a sterling caring job, a heartfelt thank you to you all. I am so privileged and relieved to have found you. I look forward to seeing you early Sept. Kindest regards and very best wishes to Dr Laszlo (my hero),,,,,,!!!!! I would very much like to say what a most enjoyable stay we had at Revay Hotel. treatment and care we got was exceptional. Very many thanks to you all at the Clinic and the Hotel. An infection in the root of a tooth meant an extraction which left a gap opposite an existing gap which made chewing a little difficult on that side. There was also a gap on the other side giving me three gaps only one of which was obvious when I smiled. A quotation for three implants and crowns in UK was quite expensive and a friend told me about her treatment in Budapest at a fraction of the cost in UK. I got three quotes from clinics in Budapest and after researching each clinic thoroughly I decided that Helvetic seemed by far the best for me. In all it took three visits though I could have done it in two if I had comb ined the initial assessment with the start of the work. The end result was three excellent implants and I was eating in a local restaurant an hour after the crowns were fitted. No more unsightly gaps and no more problems with chewing; exactly the result I wanted at a price I was happy to pay. In terms of my experience I cannot give high enough praise for the staff from the doctors to the receptionists and the patient coordinators. All went out of their way to reassure me, to explain every aspect of the treatment and to show concern for my comfort. The treatment was painless despite the need for a good deal of drilling. My only discomfort was having to keep my mouth open for longish periods but the doctors were very patient and let me rest fairly frequently. They were all very friendly and spoke perfect English. The facilities are outstanding and the design of the clinic is an inspiration with excellent waiting area by reception, well equipped treatment rooms, and an on site dental laboratory. The real plus point for me was that the clinic is situated within the hotel where I was accommodated which meant that you stepped out of the lift and were in the dental reception area. It also meant that if you wanted to rest after treatment your room was less than a minute away. I have been home for three days and the implants and crowns feel quite natural as if they have been there forever with no discomfort at all. I cannot recommend Helvetic highly enough and have told many of my friends about it, and several are interested in getting treatment, one has already made arrangements for his first consultation. I shall be more than happy to provide you with feedback on the website links that you have provided, even though I am just at the beginning of my treatment. More than anything I just want to say a big thank you to all of you for the way you looked after me last week. I was shocked to realise just how bad my teeth were, and what was required to restore them, and I so appreciate all the advice and guidance I received to help me decide which route to take. Everyone was so friendly and helpful, it was totally different from all my dental experiences to date. The set up in Budapest is absolutely first class, and I found the technology fascinating. The fact that the hotel is integrated into the complex makes things that much easier, to be able to rest up immediately after treatment was such a bonus. To all those who actually worked on my teeth, I have nothing but admiration for your skills and professionalism and I felt totally safe and secure in your hands. Special thanks also to Livia for always putting me at my ease, for helping to explain the treatment I was about to receive and for answering all my questions clearly and reassuringly. I am very glad that I took the decision to attend your clinic in such a beautiful city, and I shall look forward to seeing you all again in the middle of December. I shall contact you next sometime in November to confirm dates and flights, etc. I am now back home and thank you all for another very pleasant stay in Budapest. As always it was a pleasure to be looked after by such kind and helpful people. All of you make such an effort to make your guests feel as comfortable as possible. Thank you to everyone who was involved in my treatment from the first communication to the last goodbye. I was just at your clinic last week and am very impressed with your work! Thank you for your incredible service. I look forward to hearing from you. I am 77 years old, I have seen dentists in my life. But never have I seen dentists as talented as those of “HELVETIC CLINICS”. I can only recommend them to all who are in search of perfection: super nice welcome, airport transportation – Hotel in the heart of a city of 2 M° inhabitants, perfect and unparalleled dental care, at competitive prices, all in a dream premises. So many thanks and success in the future. Go there trustfully. You will not be disappointed. Thank you for your message. We came back home in Switzerland and again a big thank you for last week’s treatment. We were enchanted and satisfied with the welcome and the quality of the dental care, it’s absolutely wonderful. We cannot but recommend Helvetic Clinics to our friends and families. Very satisfied with the work that was done in my mouth. All the staff are charming and attentive, dental care is of quality and painless. I’ve already recommended to my surroundings. Much better than most Swiss dentists. Excellent level of professionalism, modern facilities, motivated and welcoming staff, nice clinic design. I appreciated the quality and the care that the team shows from the airport pickup until leaving. from the airport to the accompaniment for the care and the reassuring presence of the patient coordinators. A very big thank you to all the team for their patience and kindness. What I liked: the welcome, the seriousness, helpfulness, professionalism, and the kindness. What I would say to anyone who hesitates to come: that these treatments are worth the trip! People are reluctant because of the distance and especially because they do not know the quality of the care that is provided and that is very unfortunate. Thank you for your mail. It has been very reassuring the information you have provided. 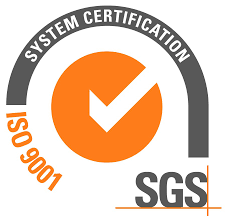 Your organisation is the most professional I have come across and would like to use yourselves for the work I need done. 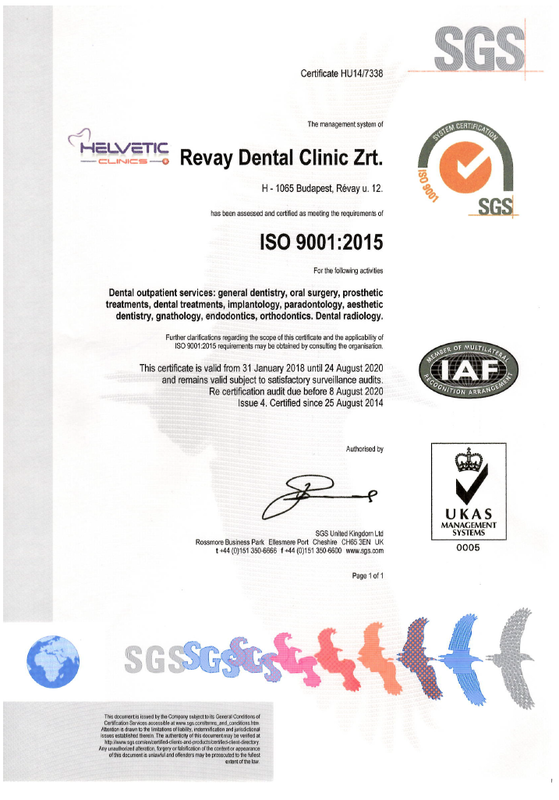 Thank you for the dental consultation and hygienic services on 28/05/15. Your services were first class and the staff very helpful and friendly. 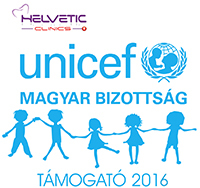 I visited Helvetic Clinics in Budapest in April 15. I am eventually going to have Implants and will definitely be going back to Helvetic for that treatment. On this occasion I had all 4 wisdom teeth extracted plus 2 incisors. I also had subgigival and hygienic cleaning as I had severe periodontal disease. The extractions were surprisingly painless honestly couldn’t believe it when the surgeon said the work was finished. It was so quick I could not believe all the extractions were over, especially with the horror stories I’ve heard about removal of wisdom teeth. The cleaning took just over an hour as I only needed subgingival cleaning in certain areas. To be honest that was more uncomfortable than the extractions but the surgeon was very patient and made it as comfortable as possible for me. It is now about six weeks on and the periodontal disease seems to have cleared up. The swelling and redness I had due to this has now receded and my gums are already beginning to regrow. Also they fitted me with a temporary denture until I go back for implants in August. It fits perfectly which is amazing as they had to take the mould before my extractions were taken as I missed my flight which meant they had to squeeze my treatment in quicker than had previously been arranged. The Clinic is exemplary clean and more advanced than any I have seen in England. Every staff member I met was very friendly which made me feel at ease during my time there. A huge thanks to Bettina and the team for their help and patience with my firstly missing my flight and then oversleeping and missing my rescheduled appointment. Would definitely recommend Helvetic Clinics to anyone. I got four fillings (aesthetic as well as composite ones). In all cases I was very satisfied as the result was just perfect! Very reassuring, the clinic gives clear and detailed explanations of the dental treatments to be undertaken, several quotes are proposed. I received quality and painless care. The patient coordinators give you a warm welcome and their work is fantastic. 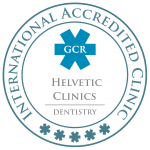 Do not hesitate to come to Helvetic Clinics; you are taken care of by professionals. I saved 20’000 Swiss francs (13’500 pounds). Very warm welcome, precision work. Without any hesitation, I have started spreading the word about the clinic. A big applause to the whole team! Competent team and treatment. Service was professional. All my expectations were fulfilled. They detected problems, which were ignored in the UK and in France. Friendly and professional service, modern equipment, and thorough consultation that allowed detecting problems unspotted by French and English dentists. I’m very satisfied and I have already sent colleagues and family members to Helvetic Clinics. Very good and precise dental work; complaisant dentists. Very friendly and helpful staff. Super! Very professional. Pleasant work environment and kindness characterize this clinic. The staff and dentists do everything to make the dental process relaxing and pleasant. True professionals, don’t hesitate; they are true professionals who give proper suggestions and provide perfect painless dental care. Warm welcome and perfect facilities for stunning results at a very reasonable price. Moreover, a great pleasure to discover Budapest between treatment appointments. Thank you for that highly skilled staff! Thank you all for your kindness, professionalism and care. The dentists were great and real experts. All the staff was kind and very helpful too. A big thanks again. All I can say is that you are professionals. After a few month long treatment, now I returned home and I really love the result. My family is amazed as well. Thank you Dr Bendes, all the translators and the friendly staff! You’re all great! From the first moment till the last, I was treated respectfully and warmly. The treatment I got was just the same. The doctors’ professionalism and great work made me recommend your clinic to my friends and acquaintances. Thank you Dr. Brigitta Szabo, Odett for your great work and care! Now I am back in France, I would like to express my appreciation for the entire stay in Budapest where I travelled for dental treatment abroad. Everything was perfect, great dental care (the most important of course) with dentists who make an excellent impression both in their skills and kindness and availability. Hotel Castle Garden is highly recommended: both the room and the restaurant. A special mention to our driver – a man who was extremely friendly! Thank you for your cooperation and I expect to return very soon. It was great last week in your Dental Clinic in Hungary, and I am now at home with Jean-François. A big cheer for your team. Just a few words to tell you of my appreciation for coming to Budapest for my dental care. After my “first step” last week (which gave me the satisfaction at all points of view ,- please share with the Doctor and his team), it seems that I must complete care in three months with 3 or 4 sessions (?). As I explains, I am abroad (in Asia) from 16 to 31 March. Can we now agree appointment dates so I can book my return flight? Thank you very much for the quality of your answers and the welcome I received at the clinic. It is indeed valuable (and rare) to be informed with such transparency and speed! I am back from my trip, and everything is OK in the dates for Hervé. Thank you for all the help you have given me in preparing my stay in Budapest and during this visit itself. It was nice to be together for all the efforts. I also enjoyed the competence of the team of dentists in Hungary and the kindness of various people encountered. We just want to say that we were very pleased with our first trip to Helvetic Clinics. Our transfer from the Budapest airport was perfect! your driver Mr. Roland was a very friendly person. Upon our arrival at Helvetic Clinics, we were supported by the Dentists for a first visit. An hour later and the estimates were made in French! A big thank you to Mr P. Chaker and Erika and we appreciated your kindness, availability and translations in French that we enjoyed! A special thank you to dentists: they showed calmness, kindness and a high level of professionalism. They filled us with confidence! Thank you to the entire staff of Helvetic Clinics. We felt reassured by the seriousness of your work and it is because of this that we decided to start treatment immediately. The Hotel Castel Garden is impeccable and we were very well received. I want to congratulate you for the welcome we received in your clinic. Your staff are attentive and professional.